When you enter the hospital for a surgical procedure, you will likely feel very nervous about the operation. There are so many things that can go wrong, and when you are going to be under an anesthetic and at the mercy of your doctor’s expertise you may not feel 100% confident that everything is going to work out perfectly. In a 2016 medical malpractice payout analysis conducted by a major insurance carrier, 23% of medical malpractice payouts were for surgical negligence, another 3% for anesthesia errors and 5% were for medication mistakes. At the Yeboah Law Group, we are here to protect our clients’ rights to compensation when they have been injured due to surgical negligence. You expect that your surgeon will be exercising the utmost care and concern while operating on you. However, when you suffer an injury because of negligent actions or the failure to act on the part of your surgeon during surgery, you may be able to recover compensation for your injuries and other losses. Our Fort Lauderdale medical malpractice attorneys hold any medical professional who is responsible for your injury accountable and we fight for fair compensation whether through a settlement or a jury verdict. We are here to fight for you. 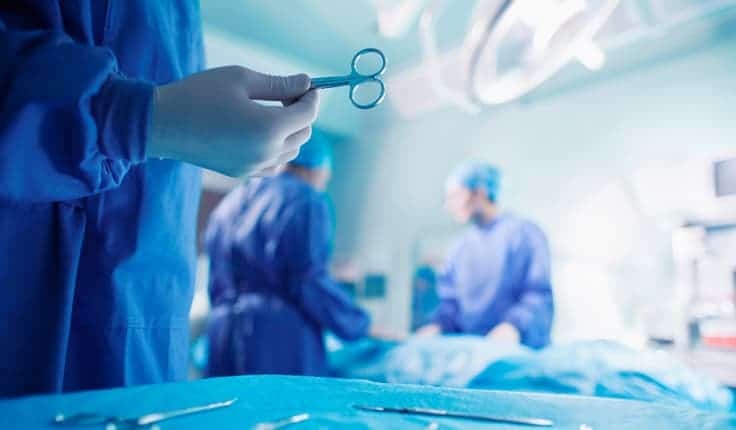 Some surgical negligence cases require that the patient undergo additional surgery, facing additional risk and additional complications. When you must undergo a surgical procedure, you want to make sure that the hospital where you will be staying is safe. Given that preventable medical errors have now become the third leading cause of death after heart disease and cancer, and about 440,000 people die each year from preventable medical mistakes, you would be wise to carefully research the hospital where your surgery will take place. The hospital safety grade surveys are conducted twice each year, so if a hospital receives an unfavorable rating they can still make changes and show improvement in the next survey. Florida has a two-year statute of limitations for bringing legal action in a medical malpractice lawsuit. The two-year time limit is from the date the incident is discovered, or should have been discovered, but no later than four years from the date of the incident out of which the cause of action accrued: Fla. Stat. Ann. §95.11(4)(a) and (b). However, the four-year limitation will not bar an action brought on behalf of a minor on or before the child’s eighth birthday. The applicable limitation date in your case depends on the specific circumstances of your case. Surgeons, being human beings, make mistakes all the time. Simply making a mistake that violates the accepted standard of care does not define medical malpractice. The plaintiff must still prove direct causation between the surgeon’s error and his or her injury. For example, if the surgeon left a foreign body, such as a sponge, clamp, forceps, surgical needle, or other items used during surgery inside the patient, the patient would also have to show evidence that the foreign body caused perforations, infection and pain, the requirement for a second surgery to remove the item or some other damage or injury. An experienced Fort Lauderdale medical malpractice attorney from the Yeboah Law Group will develop a compelling case on your behalf to recover compensation for your pain and suffering, medical bills, lost wages and emotional distress. After recovering from surgery, it can be terrifying to be told that the surgeon who operated on you made a mistake that is causing you pain. You may want to review your case with a trusted Fort Lauderdale medical malpractice attorney from the Yeboah Law Group who will let you know how much your case is worth, and inform you about the legal options available to you. You may call us at 1-800-TELL-SAM or complete our contact form to schedule a no-obligation consultation.